Long time no blog... so here goes. I've been spending some time developing characters and thought I'd share some of the little guys that didn't make the grade. I'm still wondering whether to do something with the little sea horse (who is at present anatomically dodgy)... we'll see. 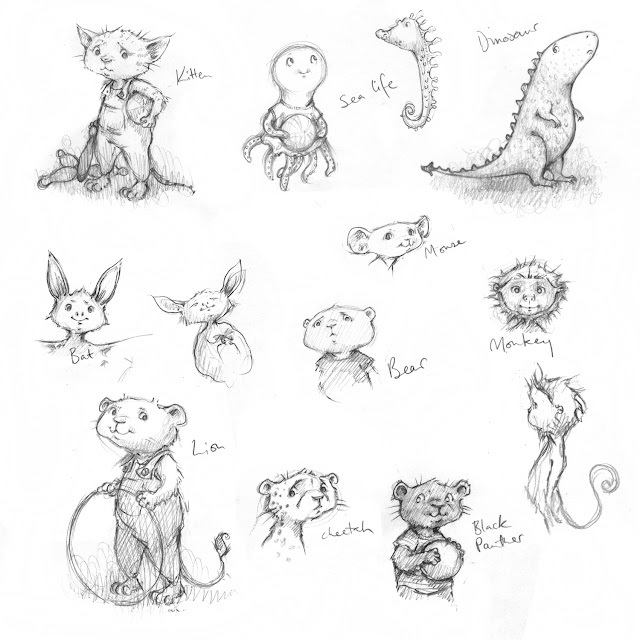 I feel terribly sad that these adorable little guys didn't make the cut! Baby cheetah looks proper offended. And that is the cutest octopus I have ever seen! He's desperate for seahorse to play with him. You are so clever, Kate.